Number 4 PerlovÃ¡ ulice is now the official entry point into PlzeÅˆ’s ancient undergound. When I first saw this building I thought it was a pivnice, a pub. From 1991 to 1993, however, it never seemed to be open and I was left wondering. 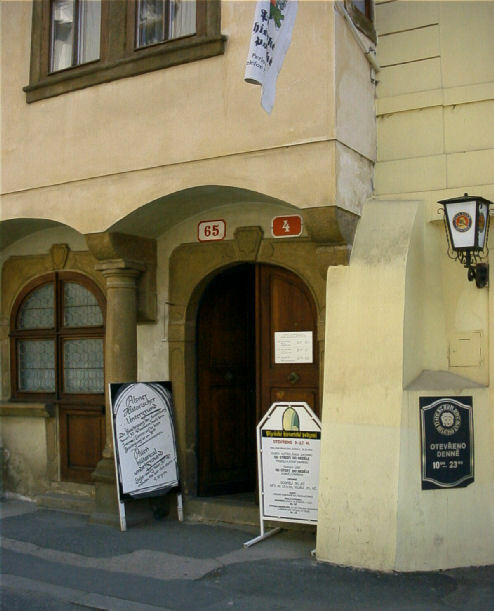 One day in 1993 I was strolling down PerlovÃ¡ ulice and noticed that the door was open. Inside was a stock of beer barrels and a guy was rolling one onto a trolley to deliver, I suppose, to one of the nearby pubs. 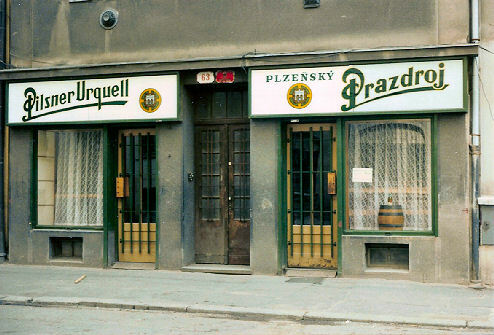 The opened door was the one on the right under the PlzeÅˆskÃ½ Prazdroj sign and the interior didn’t look like it had been a pub for a very long time – if ever. I still wonder what the purpose of the building was before 1991. 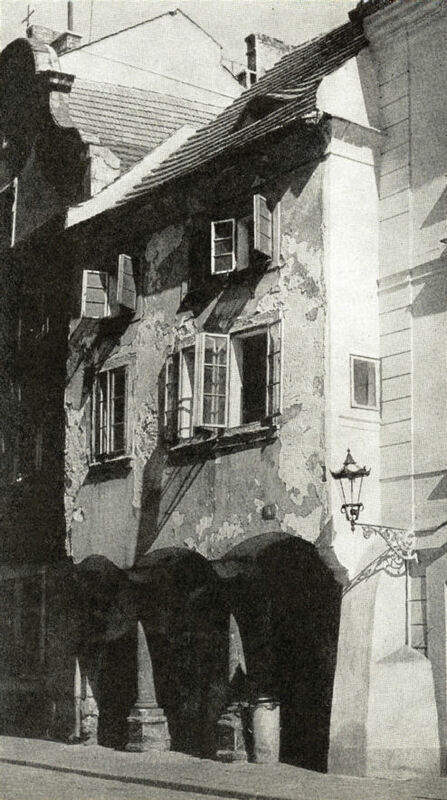 It must have been either a pivnice or a beer shop, mustn’t it? If anybody has a better photograph or knows more about the history of the place, I’ll be very grateful! Well it seems I had the answer to my question amongst my photographs. 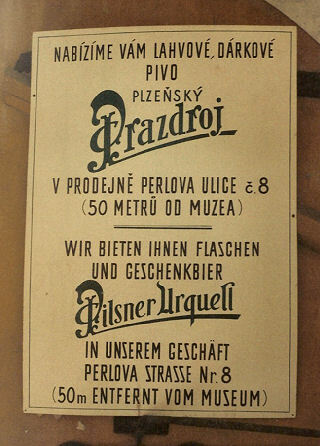 As can be seen in this image, NÂ° 8 PerlovÃ¡ Ulice was a retail outlet for the brewery museum. A beer shop! I wonder why I never read the sign? I should thank Eva for this photo – it shows the East side of PerlovÃ¡ ulice looking, perhaps, from a point very near to My House. The view hasn’t changed too much in the past 15 years – the changes aren’t so striking as they are in other areas of the historical centre. 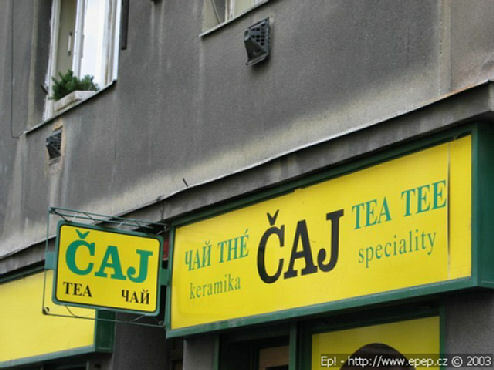 Looking at this photograph, I can imagine strolling along PerlovÃ¡ ulice, making my way towards the brewery museum… I do wish somebody would renovate the tea emporium though – and remove those yellow and green signs! I wonder who owns it… surely they should be persuaded to sell? 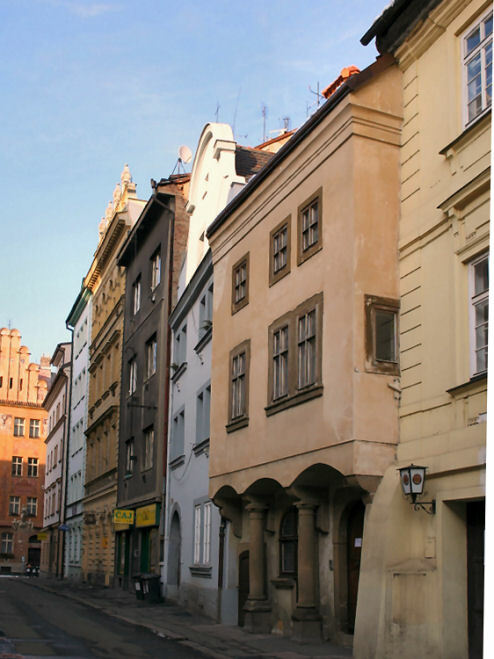 This entry was posted in Other, PlzeÅˆ on April 28, 2006 by Clive.